Home | Delray Surf Designs | CLEAN. SIMPLE. PURE. 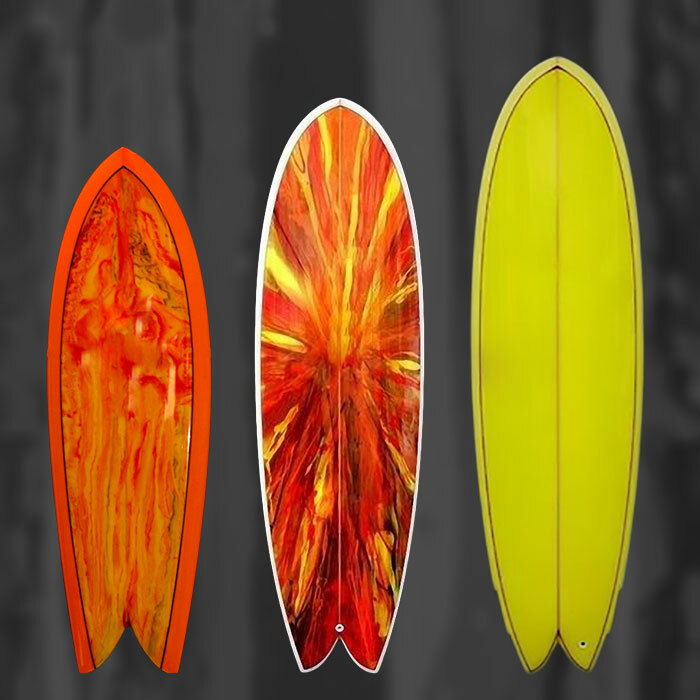 We're a custom surfboard shop that specializes in home-grown San Diego surfboard designs, born and raised in the incredibly diverse surf of San Diego County. Our focus is on quality designs, fiberglass work, and exceptional customer service. Order your custom board today! Our Postmodern Fish skate and paddle like a traditional fish surfboard but can perform like a modern shortboard. They are incredibly fast, and nothing but high-performance surfboards. 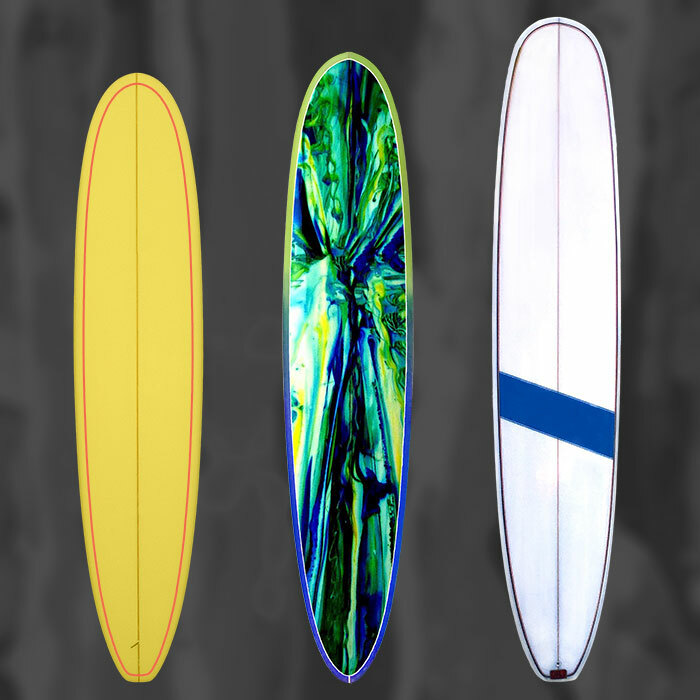 These board designs are the direct descendants from the original Fish surfboards from Sunset Cliffs. 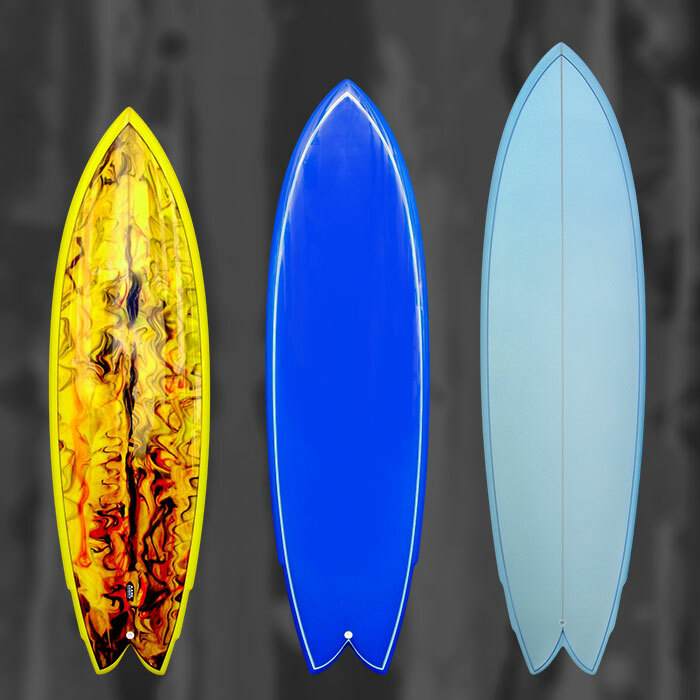 We have been riding, designing and building these type of fish surfboards non-stop since the early '70s. San Diego has a long tradition of building high-performance Egg surfboards and we have paralleled our focus on Speed Eggs like we have with Fish designs. Speed Eggs are one of our specialties, these are not beginner boards but multi-concave, high-performance surfboards that are fun and easy to ride. 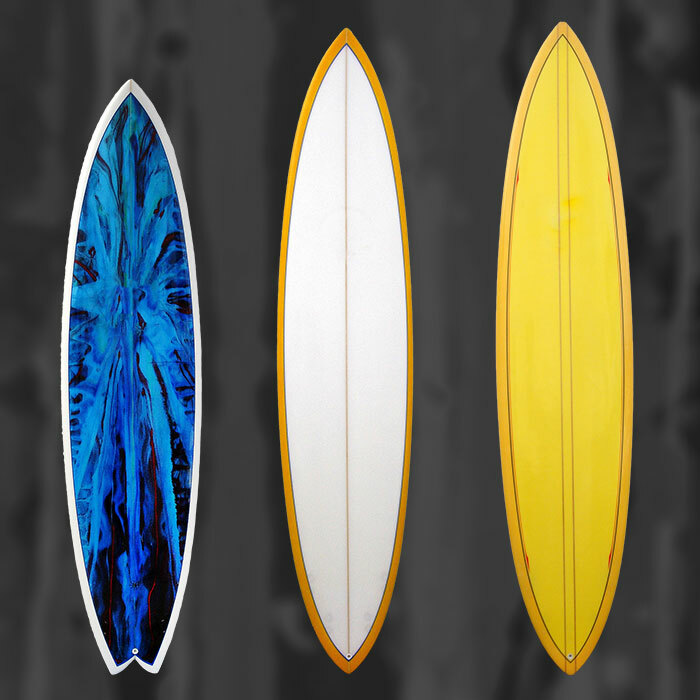 These boards are one of our specialties that not too many other surfboard builders create or can do. We've been working on and fine-tuning these designs since the '90s. They are fast, smooth and glide like the wind. Since some of our crew started building boards in the late '60s and were a big part of the longboard revival in the '80s, we have some of the best tried-and-true postmodern longboard designs that combine traditional glide of the older longboard models with modern day performance. This is a category that is really all of our own, very few builders can or even want to build boards like these. Our Superboards are generally 9.6 - 12ft, have an elegant glide, are very maneuverable, and easy to ride. 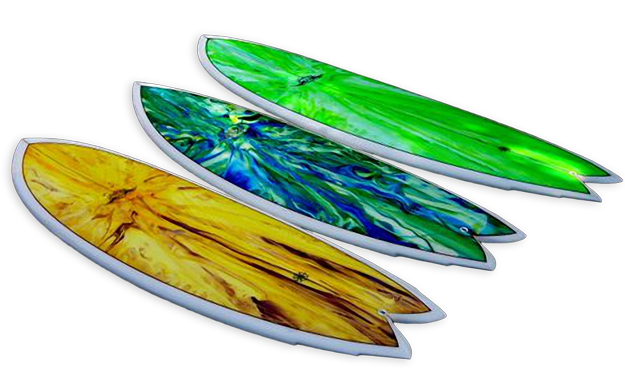 Highest quality custom surfboards at a fair price. Quick and efficient, all under one roof. 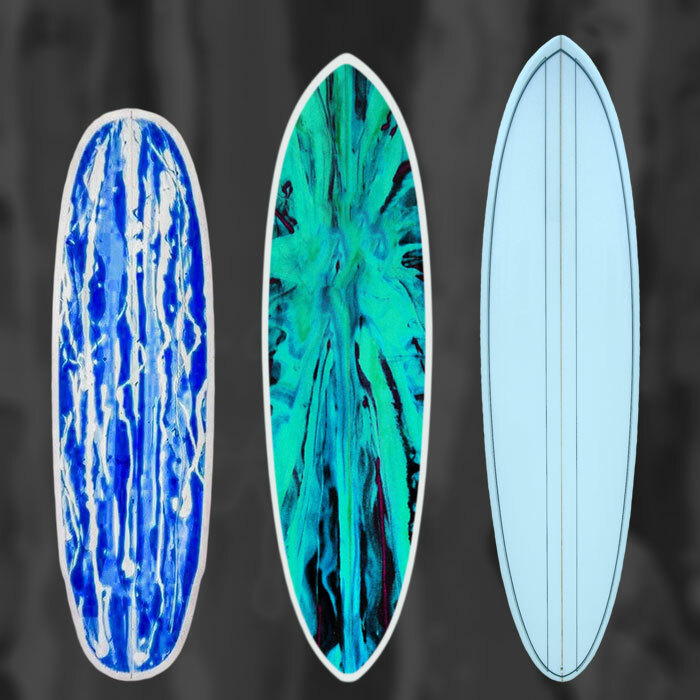 We offer a wide range of custom surfboard designs. PS: if anyone is coming to indo and can bring an extra Delray fish or two for me please advise, mahalos. Drove down this past weekend from Northern California to pick up a couple of Superboards that PJ shaped for me and my friend Jan. Very stoked on the quality, shaping and the glassing. I can tell Years of tribal knowledge went into shaping this board. PJ is a very nice guy and very easy to talk to. The transaction was straight forward and easy. PJ took the time to explain how he shaped the board and what it can do (a big plus for me). The Verdict: It was good surf in San Diego and I decided to Paddle out at Cardiff reef on a 3-4 ft day and the board absolutely rips! Easy paddle, light weight, carves and cutbacks on a dime! I got addicted to the board 20 minutes into my session! I’m gonna have PJ shape me an additional board in mid summer. I’ve been surfing for almost 35 years and surfed many types of surfboards. 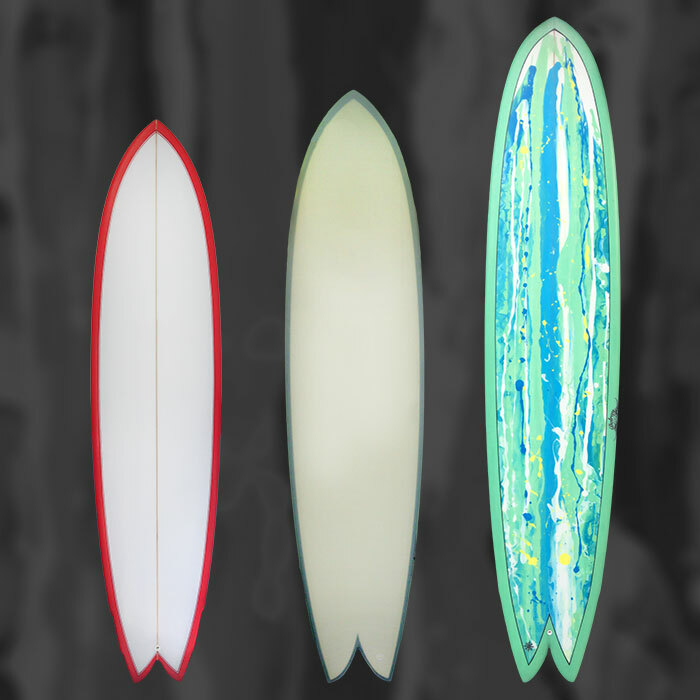 And I can say that Delray surfboards are on the top of my list for all around, performance, durability, and craftsmanship. I am so impressed with the new board I received from Pete, I usually am not a fan of short boards, but the 6'3 board he made is a dream! You get the best of both worlds because it paddles and rides like a longboard, but you go as fast as a short board and can make some really nice turns. I can already tell that my surfing has improved and I will definitely be consulting Pete as to which boards I should get shaped in the future.